Sometimes, as a young art graduate you feel there are lots of questions, technical and philosophical, that haven’t been answered during your studies maybe because you just face them once working by your own without a teacher's supervision. Often finding the answers to those questions becomes a matter of spending too much time searching for the right course, masterclass, workshop or connection suitable for both your craft and your wallet, and one might end up giving up because the experience is either too expensive or to far away. 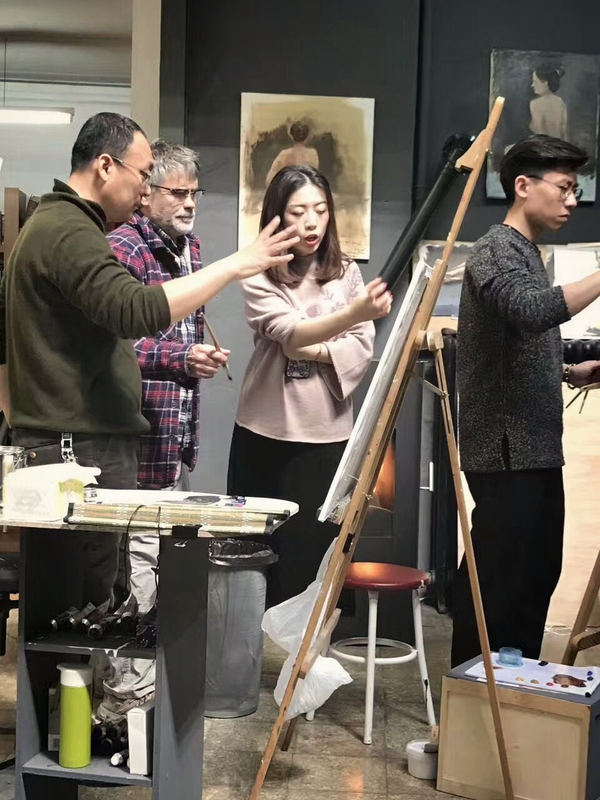 In order to accomplish TIAC's mission of bridging between different levels of artistic education and to make artistic development easier and accessible for everyone, the team has come up with the idea of organizing Master Workshops. TIAC Master Workshop is a projects to get established and respected artists, who are highly skilled and professional and to create spaces to allow people from across the range of artistic world to learn from them. In other words, Master workshop is about mentoring. Led by the spirit of learning and sharing knowledge, TIAC invites artists that are in their Senior stage of their career to mentor other artists from a variety of levels of education, even the ones who are already professionals or in a late state of their career but are still in the research of answers. The main goal is to create a platform for artist to communicate with each other, to exchange opinions, questions and challenges. Three Master Workshops have been organized during 2017, two in Spain with Masters Golucho and Antonio Lòpez and one in Florence with Master Odd Nerdrum. This have been extremely enriching experiences not only for the artist attending the workshop, but also for TIAC's team members, who also have learned how accessible, humble and full of questions even great masters are. At the moment TIAC is working on the new proposal and possibilities for the next Master Workshops to widen the the educational offer and opportunities and to strengthen the net that makes The International Arts & Culture Group a reliable artistic community, open and devoted to every single form of art and creative work.